Maybe you have taken the decision to delete your Facebook account temporarily or permanently. Maybe for reasons that your Facebook account has been hacked or you may have forgotten your password. It is imperative to note that whichever path you choose to take is different from the other. 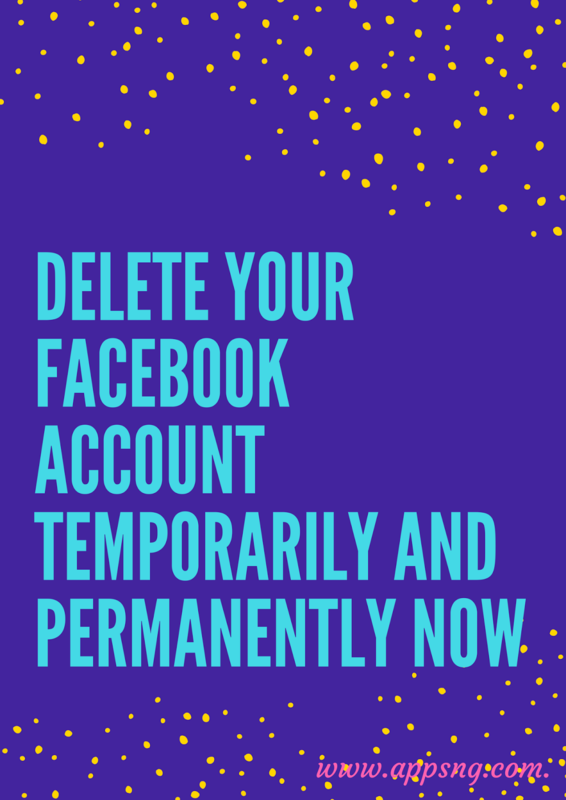 Deleting your Facebook account temporarily means DEACTIVATION. 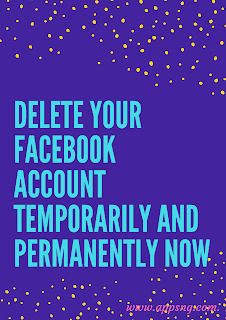 While deleting your Facebook permanently means total DELETION. And because they are different, they also have different characteristics. We'll take a look at their differences in a moment. If you encounter any problems, do let us know in the comment section and we will do our utmost help to help you resolve it. Remember to hit on the share buttons!